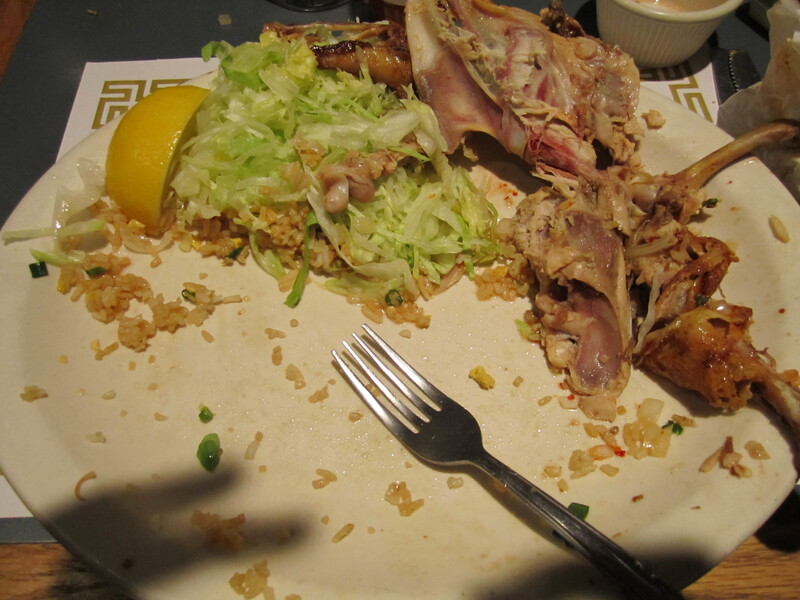 This post is a two-part feature on two restaurants I went to in New York City recently. They come from completely opposite ends of the culinary spectrum, but the result was the same both times: me being extremely satisfied and delving into a deep food coma soon thereafter. The two establishments I speak of are Flor de Mayo and the Chip Shop. When I was originally looking at restaurants to try in NYC, I was deciding to go the Adam Richman Man vs. Food route and perhaps try the curry challenge at Brick Lane or the seppuku wing challenge at Buffalo Grill in Brooklyn…thankfully I realized that I didn’t feel like being cooped up in a bathroom while my temporary glory from the previous day was painfully all for naught. 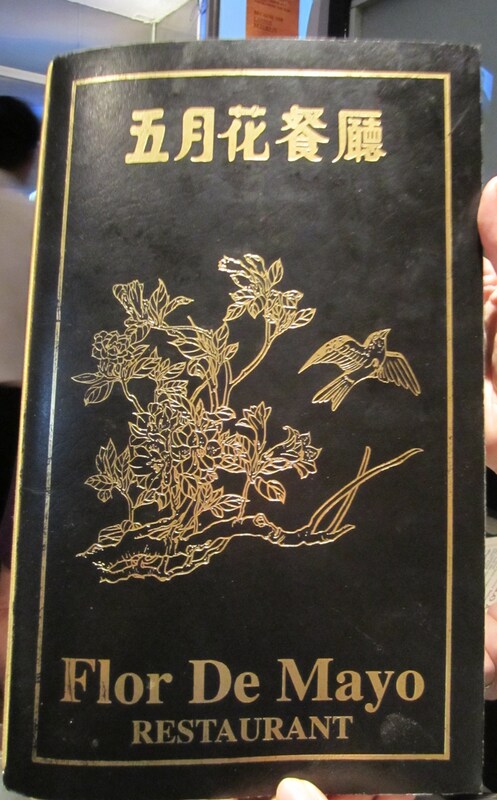 Thus, this one restaurant, Flor de Mayo, caught my eye. 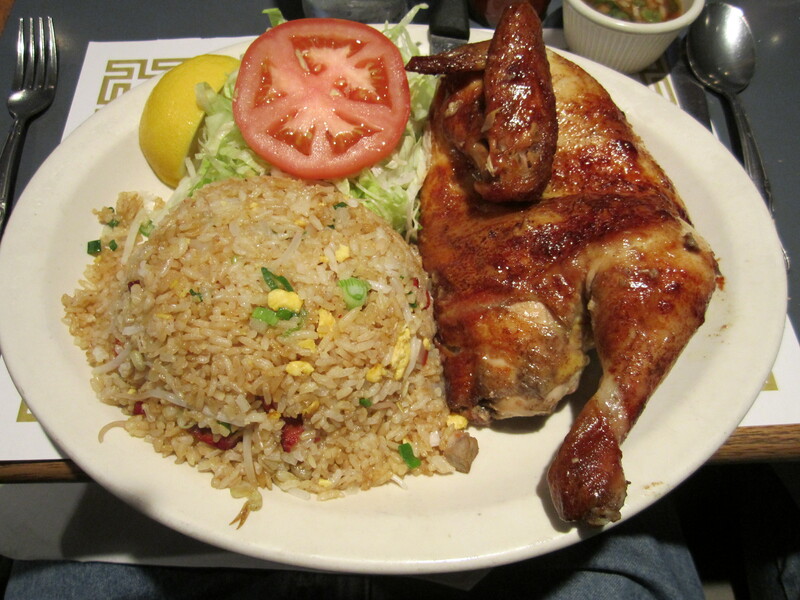 It was advertised as a Chinese Cuban restaurant with apparently the best Peruvian chicken in the country. Those three nationalities in one establishment had my mind spinning with ideas of what exactly they would serve there, but I´d be sure the Cuban and Chinese cuisine would serve up some decent pork at least. However, I did have worries that it would be some sort of pretentious fusion restaurant that attempts to combine Asian flavors with some sort of Latin dish or just completely think outside the box in terms of presentation and flavor combinations. With my fears in hand, I reached the surprisingly unassuming storefront located at 484 Amsterdam Ave. between 83rd and 84th St. Upon entering the very claustrophobic entrance, I could see that this place was the real deal. Mostly locals were waiting for tables as the wait staff promptly seated us after a less than ten minute wait. The seating was a bit cramped with the waiters and waitresses running all over the place like mad men/women, but I think it added to the atmosphere of the place. Looking over the menu, I didn’t know where to start because not only did it have classic Cuban delicacies like congri (red beans and rice), black bean soup, and even mofongo for the Puerto Rican crowd, but also Spanish tapas, Chinese classics, and Peruvian chicken. 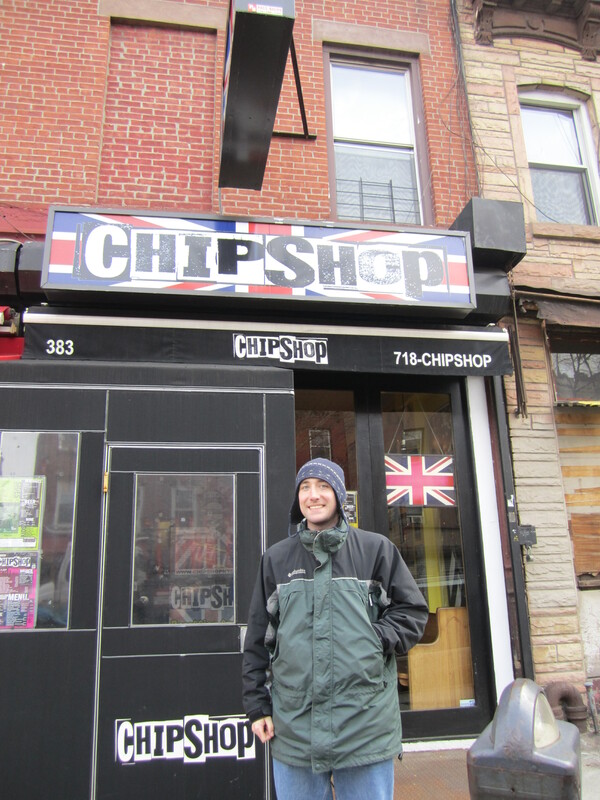 Switching gears away from strange and intriguing culinary mixtures of East vs. West, the Chip Shop located at 383 Fifth Ave. (at 6th St.) in Brooklyn, NY provided a slice of England/Scotland with many classics brought back from old Blighty, including their namesake: fish and chips (French fries to us in the Colonies). It is quite easy to get there by subway or bus, and the neighborhood is quite interesting to walk through with many different types of specialty shops and boutiques (even a superhero shop where you can dress up as your favorite crime-fighter or super villain). The actual dining establishment is pretty tiny, but I learned it was bigger when the English ex-pat owner originally opened it up. though business may be slower, they still provide the option for you late at night to get take-out fried goodies at their side window or even bring in your own food to fry. Upon entering the restaurant, the walls were coated with various types of British memorabilia from throughout the ages, including the usual Beatles/Queen Mum/Rolling Stones/James Bond pictures, but also some less common ones like Bovril/Marmite/Pingu and Ali G (Booyakasha!). Upon looking at the menu, I could see that their prices were a bit higher than average with the cod and chips being $14, but I resolved to get it and a fried item. Along with the plethora of British favorites: the English breakfast, Welsh rarebit, bangers and mash, chicken parmos, and various curries, the Chip Shop also sold other foods to go for cheap (including a tin of mince pies I pounced on for $1). The drinks also came from across the pond which surprised me as they actually had Lucozade of all things on their soft drink menu (it’s like a carbonated version of Gatorade for those not acquainted with British beverages). Anyways, I finally got my fish and chips which was gigantic compared to some of the fish and chips servings I’ve purchased in London from street vendors. Upon tucking in, I found that the batter was superb since it was light, buttery, but not too greasy. It also made up for the cod which I found to be too flaky for my liking, and having it piled on top of the chips made it a lot harder to eat. 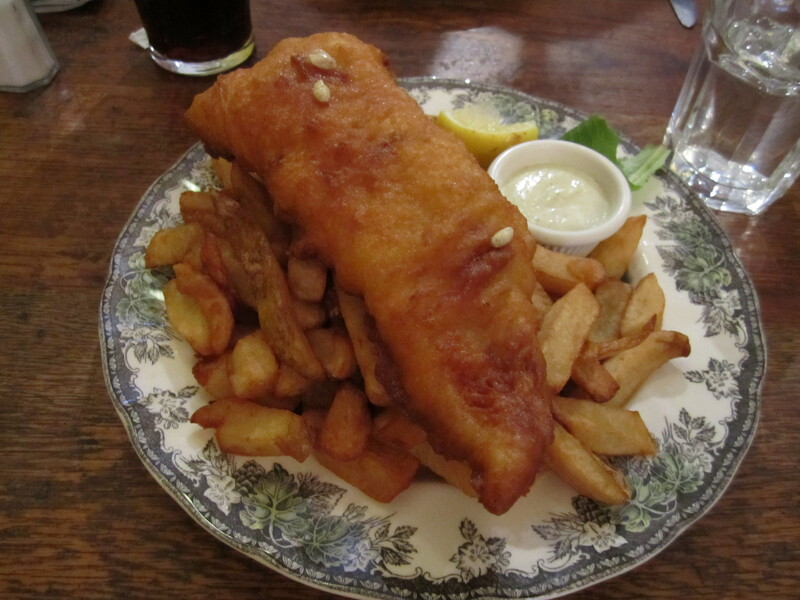 The chips were fried to perfection with a creamy inside which tasted good with the tartar sauce or the malt vinegar that came with the fish. 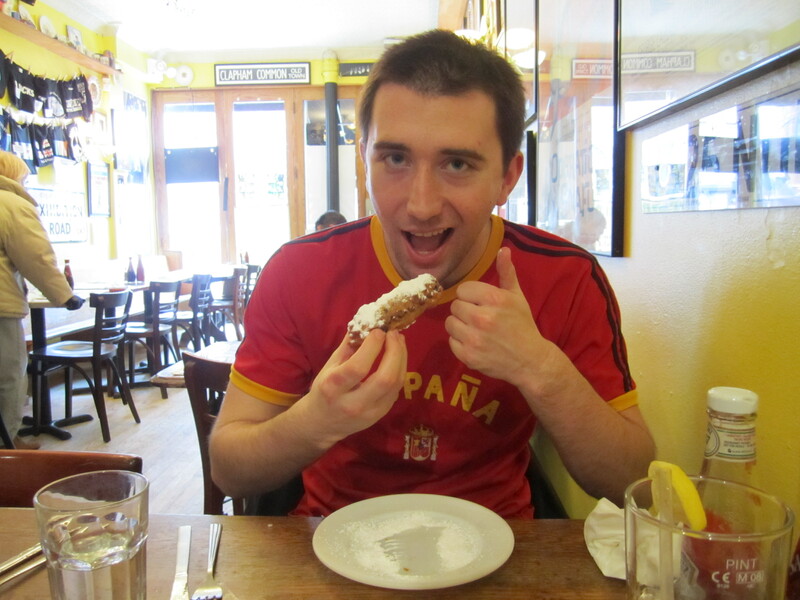 Once I finally destroyed my main course, I decided to represent the mighty Scotland by ordering a fried Mars Bar instead of the fried pizza slice…I definitely made the right choice. It was a bar of pure fried decadence as I needed to pause in between bites for fear that I might develop type II diabetes if I carried on any faster. Strangely enough, I think the haggis I had in Glasgow was actually better for my health than this tiny candy bar. 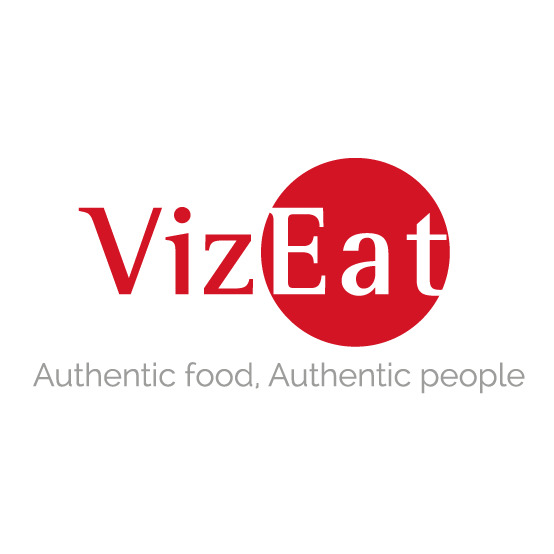 Calories and Atherosclerosis aside, I would recommend this restaurant to anyone who doesn’t really have the money to fly to Great Britain to try some standard fare that is prepared to an extraordinary standard. 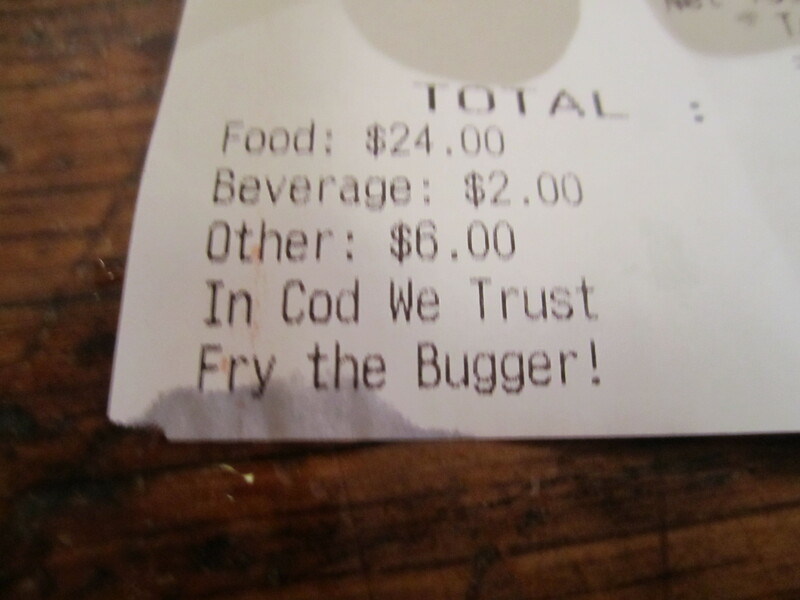 As I received my bill after a satisfying meal, their slogan was a great mixture of British wit and American roots which sums up the wicked deep-fried humor of the Chip Shop.